3. To lay a geotextile membrane. 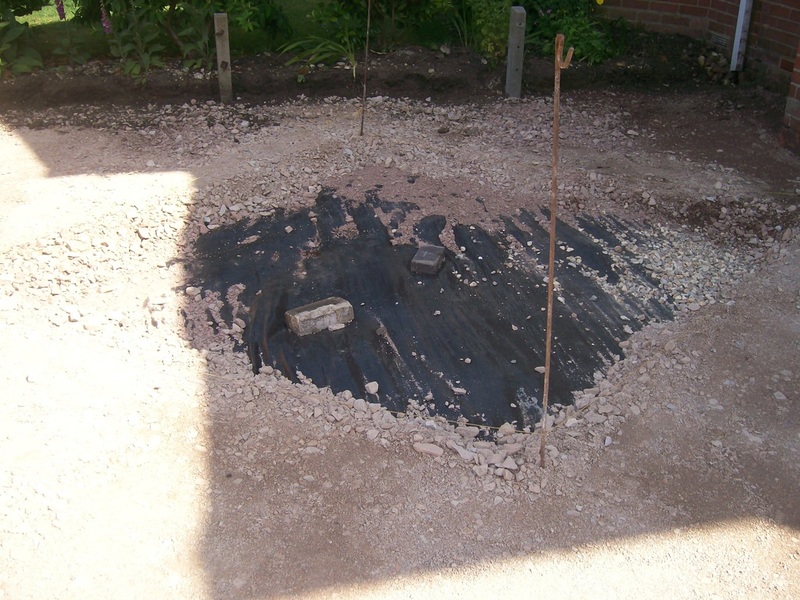 To instate acco drains and pipe work to soakaway. To build new retaining walls in Bexley Red Bricks. 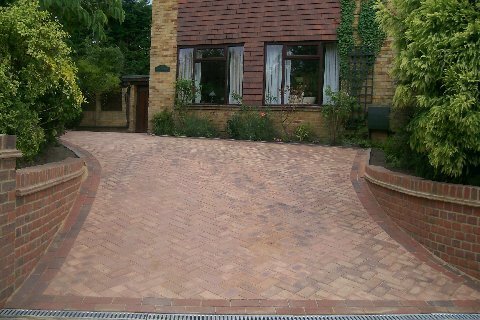 To screed and lay Clay Blocks in Ipswich colour in a 45° herringbone pattern. To instate concrete edgings for divider. 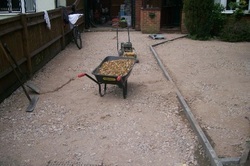 To spread and lay a 20 mm shingle over area. To screed and lay Alpha Antique Blocks in 3 different sizes in a random pattern in Brindle colour. 1. To dig out exsisting drive way and new area depth of 250-300mm. 2. To instate concrete edging in a gen 1 concrete mix. 3. To lay a geotextile membrane over area. 4. To lay and ompact type 1 scalpings. 5. To instate small Charcol key kerbs where discusted. 6. To scread and lay 50mm Blockley clay blocks around the perimeter of the drive colour to be discussed. 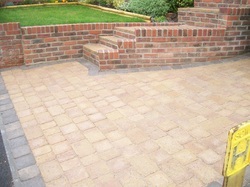 Herringbone pattern colour in Buff. 1. To take down exsisting steps and retaining wall. 2. To dig out exsisting driveway depth 250-300mm. 3. To redirect drainage in 4inch plastic pipe. 4. 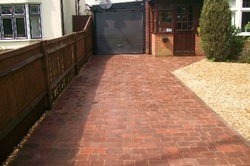 To spread and lay an st1 concreate mix thickness of 100-150mm. 5. 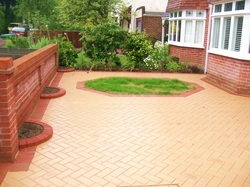 To instate concrete edging around boundries. 6. To lay a geotextile membrane. 7. To lay and compact type 1 scalpings. 8. To scread and lay with 60mm Marshall blocks with a boundry around perimeter of drive in Pennet Grey with an infill of Harvest Gold.